As Samsung gears up to launch the Samsung Fold next month, and Huawei readies its competitor in the form of the Mate X, Xiaomi has taken to social network Weibo to give us another all-too-brief glimpse at its forthcoming folding handset. The Chinese manufacturer has very taken a different approach with its prototype foldable. Where the Samsung Fold folds in half and has the folding screen on the inside, and the Mate X folds in half with its screen on the outside, the Xiaomi folds in two separate places, wrapping the screen around the outside of the device with hinges on either side of the expansive tablet-like display. Sounds confusing? Check out the video below to see the handset in action. Xiaomi first showed off the prototype of its folding phone back in January, when Lin Bin, the company’s co-founder and president, explained that the phone was a prototype that the company would consider putting it into production if there's enough interest. Both the existence of the latest video, and the content in it, suggests that there definitely was enough interest and that Xiaomi is now pressing ahead with production. That's exciting news, not least because the Xiaomi foldable could be much more affordable than some of its rivals. 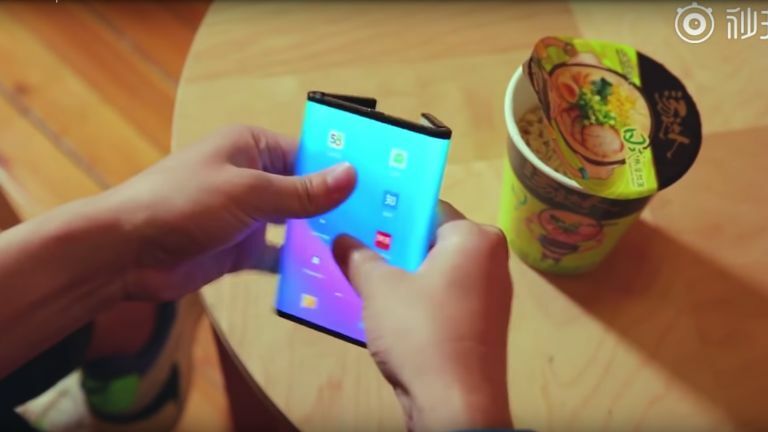 While the Samsung Galaxy Fold will cost £1,799 in the UK and $1,980 in the US, and Huawei's Mate X will cost around £1,997, a report last week stated that Xiaomi's pliable phone would retail for $999 in the US, and €999 in Europe, which works out roughly £860. That's half price! The same report said that the handset will go on sale "as soon as the end of April or early June". As for a name, Xiaomi Dual Flex, Xiaomi MIX Flex, and Xiaomi Mi Fold have been tipped as likely monikers. Whether that price and release date is accurate remains to be seen, but the fact that Xiaomi has publicly teased the folding handset on video for a second time suggests that we may not have long to wait to find out.